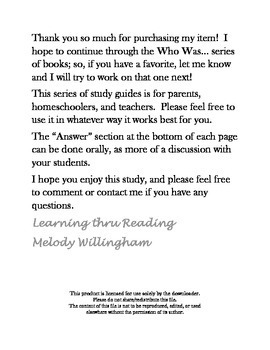 This study is from the Who Was series of books. 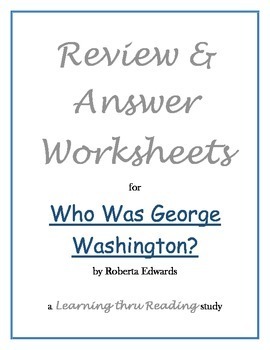 It features George Washington's life and his leadership in the formation of the United States of America. The book extensively covers his role in the Revolutionary War between the United States and England. This study guide includes a review for each chapter and answer key.